Compromised landing page allows unauthorized collection of credit card information. A holiday weekend will prove more memorial for some visitors to several ecommerce sites. Customers wishing to purchase athletic gear or sign up for a competition risked having their credit card information collected by an unauthorized third party. In the United States, Memorial Day signals the start of summer and the three-day holiday weekend kicks off with numerous large-scale promotions and sales campaigns pitching outdoor-related goods and services. Consequently, the digital advertising ecosystem usually experiences a jump in campaigns to drive traffic to ecommerce sites—a ripe opportunity to leverage. It’s likely the bad actor penetrated the content management system (CMS) or website theme template in order to ensure the code executed on all pages, especially the payment landing page. This code collects a range of financial and personally identifiable information (PII) including billing name, address, email, telephone number, credit card number, expiration date, and CVV. The information is then sent to another server unassociated with the ecommerce site owner. The host of the angular domain and the web service that collects the credit card information are owned by the same entity, whose host server is in Germany and registered to someone in Florida. The ecommerce site operators removed the code from there sites late on Tuesday, May 31. Frankly, the damage was already done. During a strong promotional period, several small- to medium- sized ecommerce sites did not realize their expected traffic. Due to the malicious nature of the landing page associated with these campaigns, The Media Trust alerted our ad tech clients to block the serving of the ads. In one instance, seven different creative supporting more than 200 ad impressions did not execute. In addition, one of the campaigns promoted an event with an expiration date of Wednesday, June 1. The Internet can be a scary place, full of bad actors looking to make a quick buck by preying on the good nature of others—consumers and website properties alike. Holiday periods are when the online ecosystem experiences a surge in attacks, and no business or organization is immune. The lesson learned is that brand and corporate websites are just as vulnerable to attack as ad content. And, ecommerce is especially vulnerable due to the direct impact to revenue. The best defense is to be on constant alert, a security posture that is difficult for most to assume. That’s why many firms leave it up to the experts to continually scan their online and mobile ecosystem. Continuous website monitoring will alert you to an anomalous or unexpected behavior of third-party vendors and first-party, website operator code. Upon detection, these issues can be immediately resolved thereby keeping your ecommerce operation alive and kicking. Content Management Systems: Friend or Foe? More than 7,000 ecommerce sites were shut down this past weekend due to malware infiltrating the open source or community version of Magento, a popular content management system. Unfortunately, this type of revenue-impacting event has become all too common with similar attacks affecting WordPress, Joomla and Drupal within the past 12 months. As thousands of online merchants have just learned, taking advantage of the affordability and flexibility offered by an open-source website vendor requires investment in continuous site security. Millions of small and medium-sized merchants rely on open source content management systems (CMS) to support their initial foray into online commerce. These platforms provide a “plug-n-play” infrastructure that pulls together basic design schema, content delivery features and shopping cart capabilities—critical cost-saving tools for a start-up operation. Platform providers make these tools available in the hopes that as the retailer grows it will seek more features and eventually upgrade to a more robust, enterprise version. But, these supposedly “free” tools come with a price. Open source is a great resource; however, it is not supported by the vendor. Open source platforms rely on a passionate community of users to build plug-ins and extensions which extend the capability of the free tool. A major shortfall is that open source lacks the protection users expect—there’s no accountability for the developer community should something go horribly wrong. In fact, the very nature of open source suggests that the “source” is “open” to all who wish to contribute. Bad actors easily infiltrate these communities and cause considerable harm. From compromising an existing extension to creating a flawed one, bad actors can quickly penetrate thousands of ecommerce operations and execute a host of crimes—mine for credit card data, trigger malware downloads onto shopper browsers, deface the site with inflammatory language or completely disable site operations, to name a few. Whatever the action, the merchant suffers serious damaging consequences from which it may not ever recover. To protect an ecommerce operation, online merchants need to invest in security measures to ensure the open source environment is safe from compromise. This means a thorough review of all code and vendors used to render the site on consumer browsers—both front-end services, like image library and product recommendation, and back-end services, like CMS and content delivery networks. In effect, open source is not really free, as the money saved from licensing needs to be poured back into IT to secure the site. The best way to secure revenue continuity is to constantly monitor the site for anomalies and unexpected vendor behavior. Upon detection, these issues can be immediately resolved thereby keeping your ecommerce operation alive and kicking. For those not planning to upgrade to a licensed, vendor-supported platform, an effective security program will be your best friend. The Media Trust can make the introduction. Ecommerce–What’s happening on your site? Online shopping is now a primary revenue source for many retailers, and its growth trajectory is forecast to continue its double-digit growth rate. 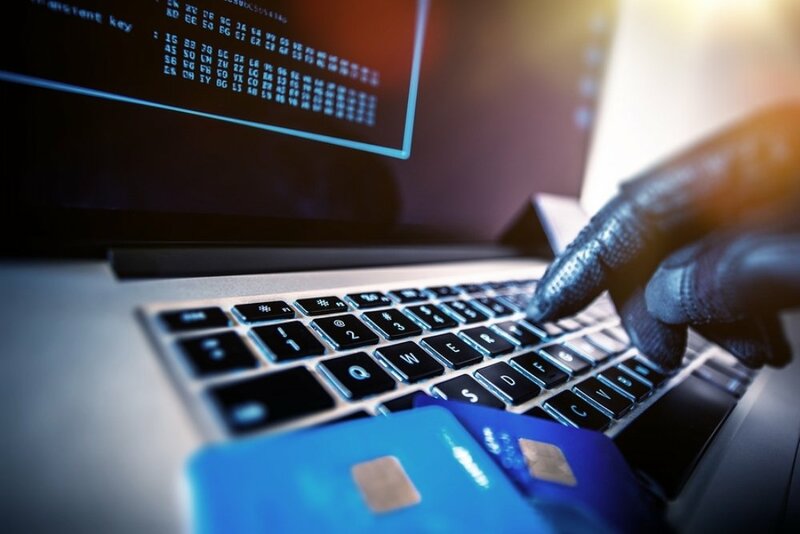 With their high-volume traffic and access to consumers’ credit cards, these sites also serve as revenue sources for hackers and fraudsters, who find retailers’ reliance on third-party vendors especially appealing. They gain access to sites by compromising legitimate third-party vendors. Everyday ecommerce sites are rife with third-party vendors, many of them not clearly visible to site owners. These services provide the interactive and engaging experience consumers have come to expect and also enable the site to be monetized. Unbeknownst to many retailers, the third-party vendors they use to render these critical services—product reviews, content recommendation engines, payment systems, automated marketing services, analytics, content delivery networks, social media tools and more—can unintentionally function as a conduit for a host of unsavory activities including malware drops, first-party data collection, and latency-causing actions. The challenge is to quickly identify the point of compromise, yet most ecommerce site operators don’t have a clear grasp of the vendors actively executing on their digital properties. The following infographic of a typical ecommerce site provides clues to where vendors can be found. How do you control these vendors and what they do on your site? The ability to effectively manage an ecommerce site requires intricate command of the technology, processes and vendors needed to render pages that not only meet revenue goals, but do so without compromising the user experience. This means the site must be free of malware, performance-sapping vendors and privacy-violating data collection activity. To protect against third-party code’s inherent risks, ecommerce teams must work with their IT, information security, and legal teams to constantly monitor—in real time—the code executing on their sites. Otherwise, a host of activities can be underway without your knowledge which can negatively impact the user experience, your brand and your revenue stream. Today is D-Day for ecommerce and IT professionals, basically anyone with a revenue-generating digital property. June 30 marks the day that Google’s ad networks move to HTTPS and follows previous statements indicating HTTPS compliance as a critical factor in search engine rankings. From Google’s announcement to the White House directive mandating HTTPS-compliant federal websites by December 2016, encryption has become the topic du jour. And, rumors abound that browsers are getting into the encryption game by flashing alerts when a site loses encryption. Why all the fanfare? Encryption adds elements of authenticity to website content, privacy for visitor search and browsing history, and security for commercial transactions. HTTPS guarantees the integrity of the connection between two systems—webserver and browser—by eliminating the inconsistent decision-making between the server and browser regarding which content is sensitive. It does not ensure a hacker-proof website and does not guarantee data security. Over the past year, businesses worked to convert their website code to HTTPS. With Google’s recent announcement, ad-supported sites can sit back and relax knowing their sites are secure, right? Wrong. To have a truly encrypted site you must ensure ALL connections to your website communicate through HTTPS, including all third-party code executing on your site, not just advertising. This means sites using providers such as content delivery networks, data management platforms, hosting services, analytic tools, product reviews, and video platforms, need to ensure connections—and any connections to fourth or fifth parties—are made via HTTPS. Just one break in any call chain will unencrypt your site. Considering 57% of ecommerce customers would stop a purchase session when alerted to an insecure page, the ongoing push to encrypted sites should not be ignored. What’s a website operator to do? By its very nature, third-party code resides outside your infrastructure and is not detected during traditional web code scanning, vulnerability assessment, or penetration testing. To ensure your site—and all the vendors serving it—maintains encryption you must scan it from the user’s point of view to see how the third parties behave. Only then can you detect if encryption has been lost along the call chain. What’s on your website? And what’s it doing there? Recognizing the risks of third-party code on brand and ecommerce websites. That’s a simple question, right? You’d think that IT, infosec and ecommerce/digital operations would know—that they would want to know—which third-party domains execute code on their company’s website. The reality is they don’t know, exposing their site and their site’s visitors to the constant threat of cyber attacks in the form of malware drops or domain redirects. Today, most organizations recognize that online and mobile ads serve as major conduits for malware, but they remain ignorant to the risks associated with third-party code executed on their website. They fail to understand the value of knowing how many third-party vendors and domains access their site each day, week or month. Failure to track third-party code activity or the length of time the domain remains on a site opens the door to malware, site performance issues and data leakage, which can lead to lost revenue and privacy violations. And don’t forget that many of these vendors may require a fourth-party to enable their functionality, which means the average website can have hundreds of domains accessing the site at any one time. In fact, the preponderance of source code executing on Fortune 1,000 websites is third-party code—just think of the latency challenges! That figure sounds high until you take into account the third-party services required to render a single URL: blogging, video, data analytics, comments, chat, product reviews, marketing automation, etc. These various services provide for a more interactive and engaging website, as well as enable the site to be optimally monetized. While third-party vendors provide value, they must also be closely monitored, lest they unknowingly serve as an entry point for malware, as evidenced with the Syrian Electronic Army’s (SEA) Thanksgiving Day attack on more than 100 media sites. The SEA attacked these various websites by first infiltrating an unsuspecting third-party used by media outlets, and a few name-brand companies, whose ecommerce sites were unavailable for hours resulting in millions of lost revenue. In the grand scheme of things, this recent compromise was relatively harmless—the SEA redirected the Gigya domain to a promotional message—and did not penetrate internal systems, infiltrate firewalls or pilfer sensitive corporate or customer data. Yet. Purveyors of malware attack for two primary reasons: simple profit or publicity, with the Sony Pictures Entertainment breach being the most recent high-profile example. Due to the heavy reliance on marketing analytics, plug-ins and third-party content, brand and ecommerce sites are prime targets for a large-scale attack orchestrated through an unknowing accomplice: a third-party executing code on an ecommerce site. And it won’t be for harmless fun. These cyber criminals leverage corporate websites to drop malware on site visitors, which typically includes employees, that mines for system vulnerabilities, syphon valuable customer data or redirect consumers to alternative and possibly competitive sites. When this happens, what will you do? Instinct is to shut down the entire property until you can locate the malicious code—a process that can take hours of searching. This is an expensive solution, because not only do you spend resources pinpointing the problem but you also won’t be able to deliver promised ads or process customer transactions, and your brand will be forever tarnished. The best defense is continuous monitoring of third-party vendors to catch the moment they are compromised and before significant harm is unleashed. Through constant scanning of these website partners you will know the instant an anomalous activity is detected, whether it be suspicious code or a domain redirect. Think about it the next time you visit your company’s website to read product reviews, catch up on the latest blog post, chat with the help desk or watch an entertaining video. Do you really know which vendors enable these activities? Have you authorized their presence and activity? Once you have a handle on this information, securing your business’s online presence becomes easier.